Tiny predators lurk just outside. Most of us don’t even know they are there. Here’s a collection of little critters to look out for this time of year. Fortunately, none of them eat humans. First, let’s meet the Assassin Bug. Yes, it kills things: flies, bees, spiders, anything it can. Assassin bugs even practice some parental care of their young by skewering prey on their long feeding tubes, then presenting the food to their young like a buggy shish kebab. Hungry? Here is a predatory stink bug nymph . 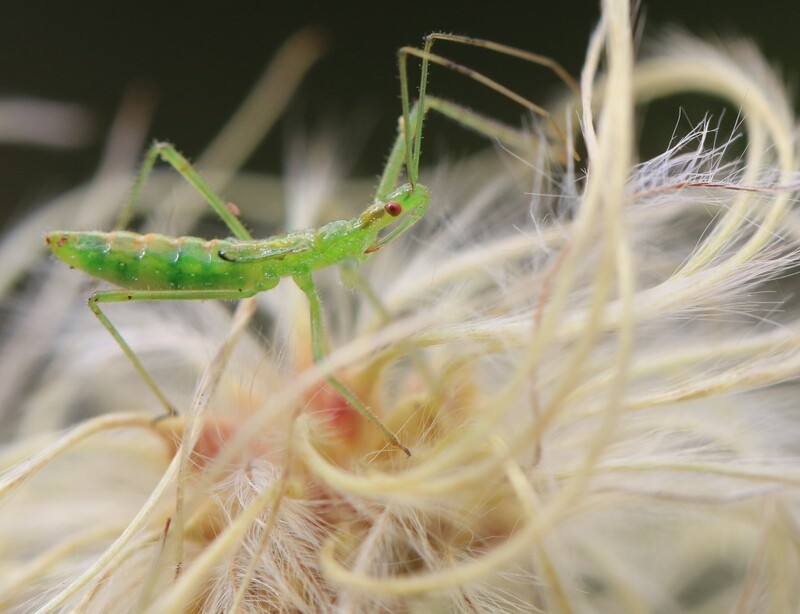 They hide on plants and make tasty meals of other insects. 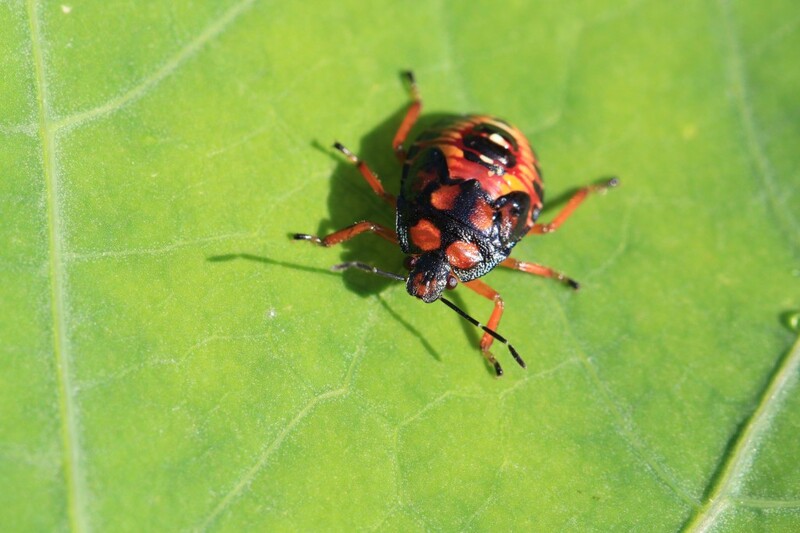 These stink bugs can actually change the colour of egg they are laying, depending on the physical environment. If you want to know anything at all about stink bugs, just ask Paul. 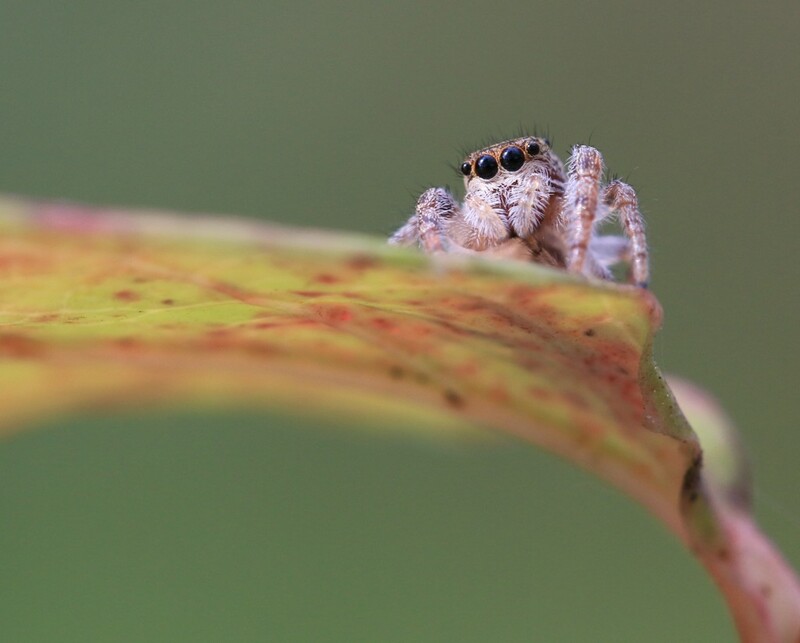 I really really love jumping spiders, and find them extremely photogenic. I settled on just 3 photos for the blog. Jumping spiders appear to be pretty smart. If they spot prey they will actually make a circuitous route down and around in order to sneak up on it. Experiments have shown them to be capable of learning, recognizing, and remembering colors, and adapting their hunting behavior accordingly. Jumpers have a hydraulic system in their back legs that enables them to jump many times their body length. They have 4 pairs of eyes, which gives them excellent vision for hunting. Did I mention that they are just the cutest?? 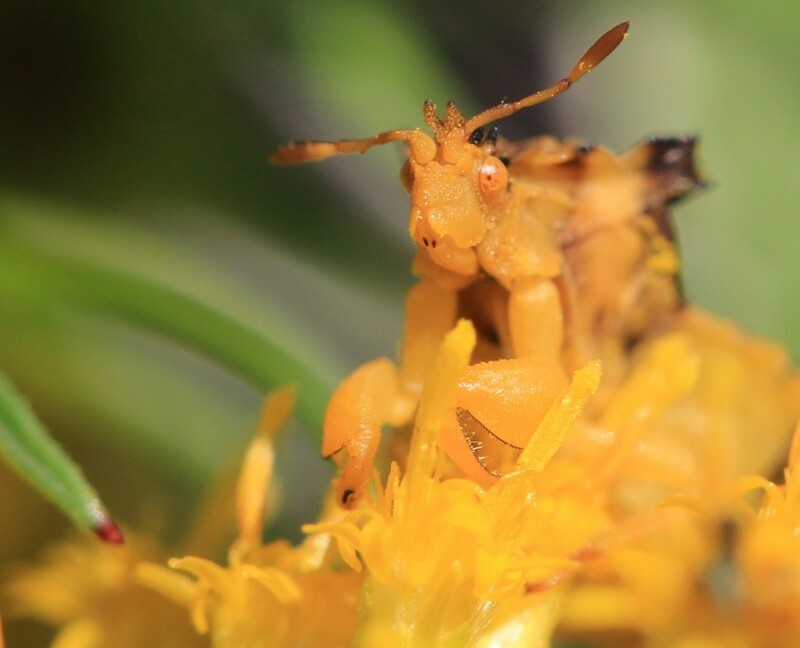 You may have already met this tiny predator, the ambush bug in my blog from August: The Secret Lives of Ambush Bugs . Here is one that I found recently, camouflaged so perfectly on a goldenrod plant. Look how its colour so closely matches the colour of the flower. I really do not know how I found it. 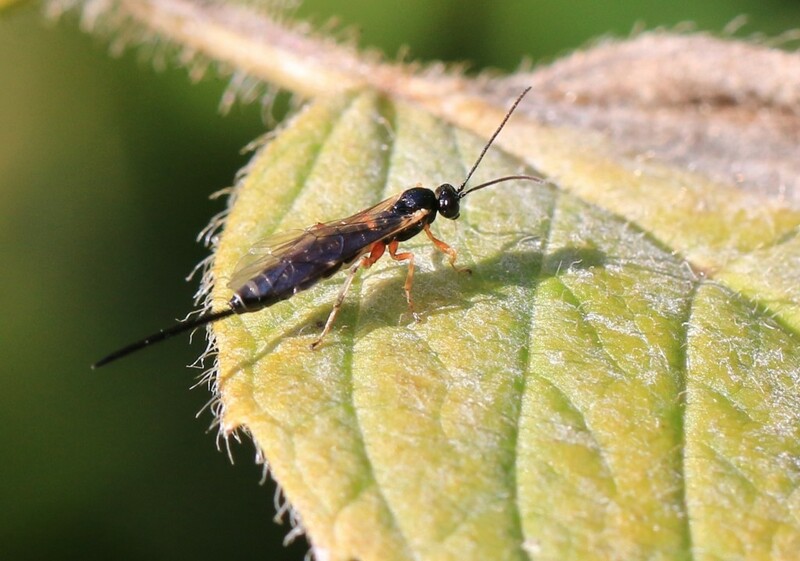 Parasitic Wasps are no threat to humans. What you see on its back end is an ovipositor, not a stinger. The ovipositor is used to lay eggs in its host insect. The host is then eaten as the wasp develops. Baby food. Ah, dragonflies! They are the best! I have had dragonflies swoop down and remove biting insects like flies and mosquitoes from my arms and shoulders many times when I’ve been out hiking. Their nymphs also help control the mosquito population by eating them voraciously. 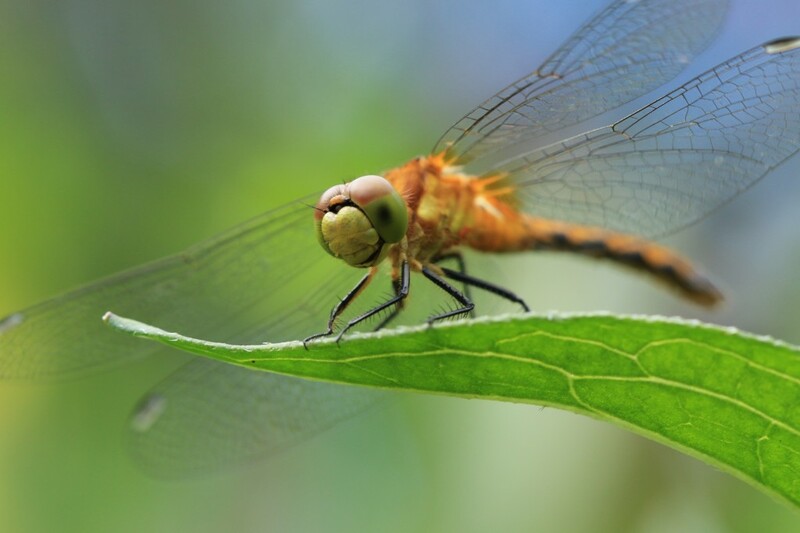 You’ve gotta love dragonflies. 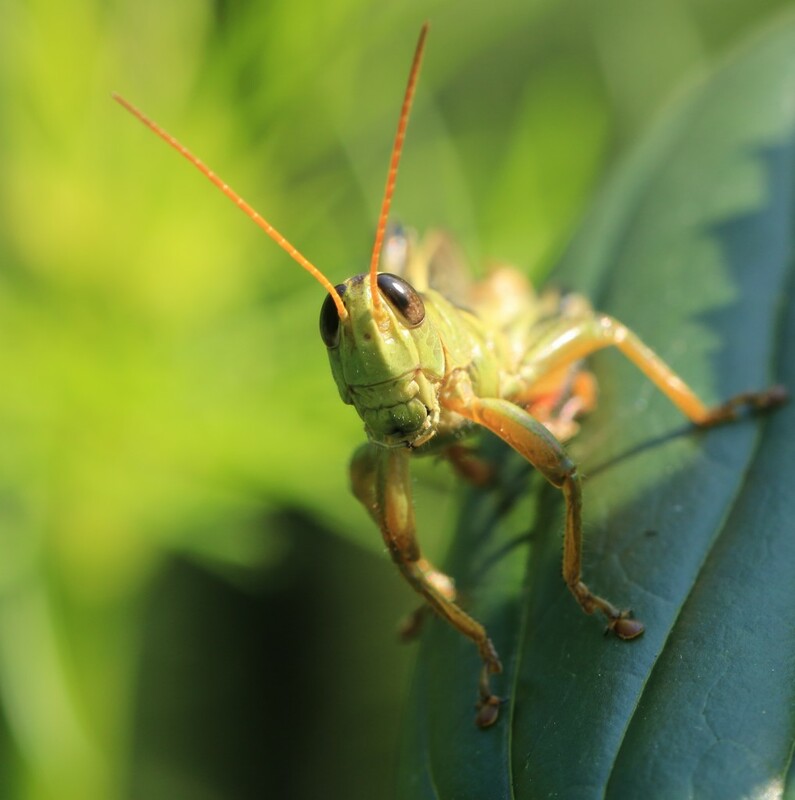 We generally think that grasshoppers just go around munching on plants. Actually, many grasshoppers are omnivores, and enjoy predating other insects. This grasshopper is smiling because it lives in Canada, where people rarely eat grasshoppers. Grasshoppers are a protein source in many countries all over the world, and are eaten fried, boiled, in soup, you name it. So take a look around. This is a great time of year for insects. 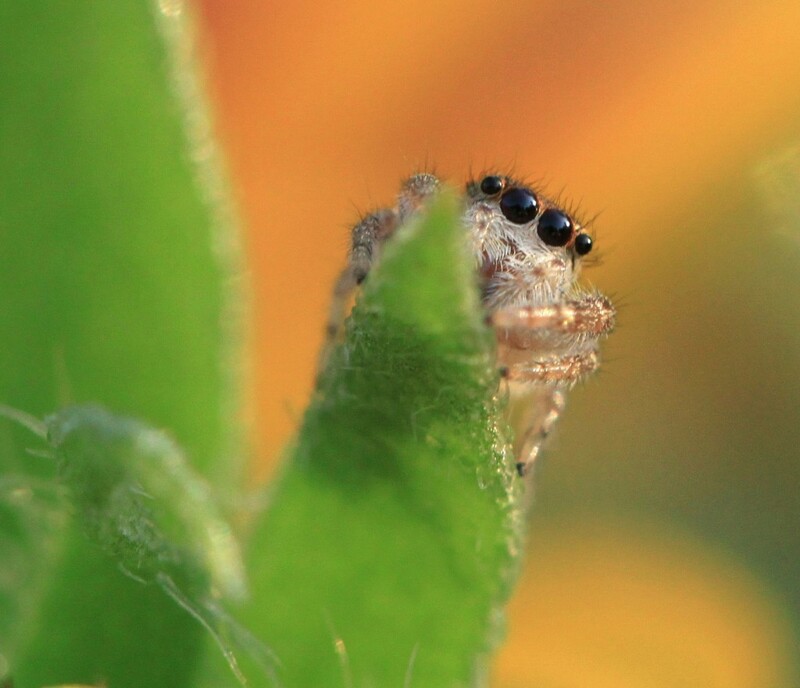 What tiny predators are lurking in your garden? ambush bugs, arachnids, assassin bugs, dragonflies, grasshoppers, insects, jumping spiders, parasitic wasps, predators, stink bugs. Bookmark. I love that you linked to the video!! This is such a fun post. 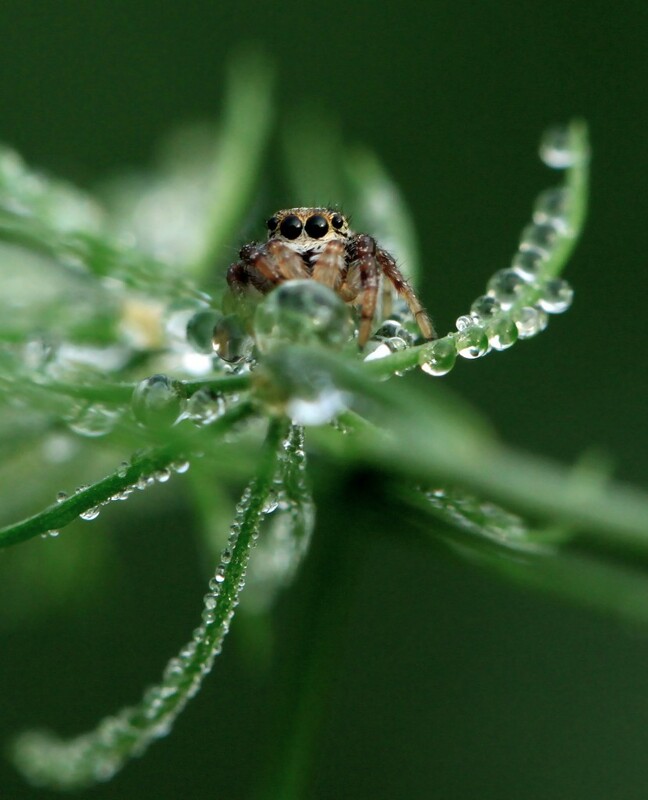 The jumping spiders in the photos are so cute!! Maybe the video will go viral!!! These photos are just incredible!